Feel the burn. Enjoy the view! 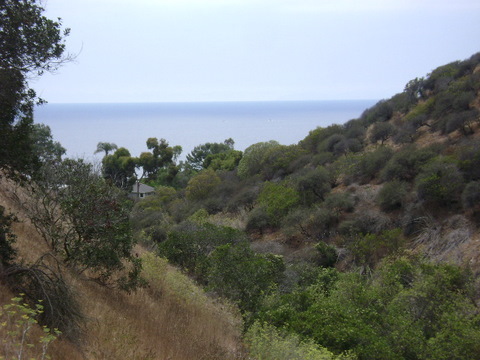 If you’re looking for a brief but challenging hike, I recommend the Valido Hiking Trail in South Laguna Beach. This hike offers several single-track sections, a creek crossing, several stairs, and when you crest the ridge, if you take a left, you will continue a few hundred yards more to Aliso Peak (683’). From there you will see some of the most stunning coastal views in Orange County. From Aliso Peak, you can look right down into the clear blue waters of Aliso Beach and Table Rock Beach farther south. Valido Trail didn’t take long to become one of my favorite hikes in South Laguna Beach because it gives a quick challenge with excellent views. And when time permits, it also leads to longer hikes if you take the St Tropez Trail (turn right at the ridge.) This extended hike leads up to Niguel Peak at 936’. Once you get to the summit, you will have the option to cut back down through the South Laguna Ridgeline Trail or head deeper inland along the Aliso Summit Trail into the Aliso and Wood Canyons Wilderness Park. Valido Trail is rarely crowded, and with the creek running through the lower portions you can often see dragonflies floating across the breeze. If you live in Laguna, and haven’t hiked-up this trail, WHAT ARE YOU WAITING FOR?!? If you’re only in Laguna Beach for a short time, I highly recommend squeezing in this hike! The views are definitely worth it! In contrast to many other Laguna Beach hiking trails, the trailhead isn’t marked too well on most maps, but once you get there it’s really easy to find! From North Laguna Beach take Pacific Coast Highway (PCH) south to WEST ST and turn Left. Turn Left at VALIDO, and as soon as you see the sign for TOTO LOMA on the left side, you’re there! From the south, you can take CROWN VALLEY PKWY to the coast and turn Right at PCH. Turn Right at WEST ST. Turn Left at VALIDO and look for parking when you see the sign for TOTO LOMA. This is a residential neighborhood, so make sure to look for signs regarding parking restrictions.